Bringing back the art of crocheting and knitting, one Liberty Hour at a time. If you’re in the loop, you might know about the new LHS club Off the Hook. Off the Hook is a knitting and crocheting club that meets every Monday in room 401 during Liberty Hour. The club teaches people how to make new projects or even learn the basics of the craft. If what you need on Mondays is a relaxing and creative environment, Off the Hook is the club for you. Club founders Abby Rosheim and Emily McKenna both started crocheting when they were eight years old, which eventually led them to expand their love to the rest of the school. At first they did not think that people would want to join. “We didn’t think that people would actually find an interest in the club but I think people need a new way to make friends in a calm environment,” McKenna said. 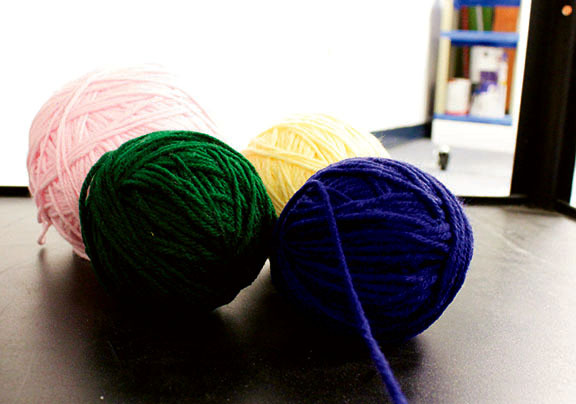 Though this club is for students to come and relax while crocheting or knitting, if there is someone who does not know how to do it, they are also taught how to crochet or knit. When it comes to making things, there is a wide variety of what has been created. “A few people have made little pot holders and some people have made scarves,” Lumetta said. Every Monday people come in for thirty minutes of learning how to crochet and knit or make new projects. The members of Off the Hook encourage people to come in on Mondays to try and learn the craft.